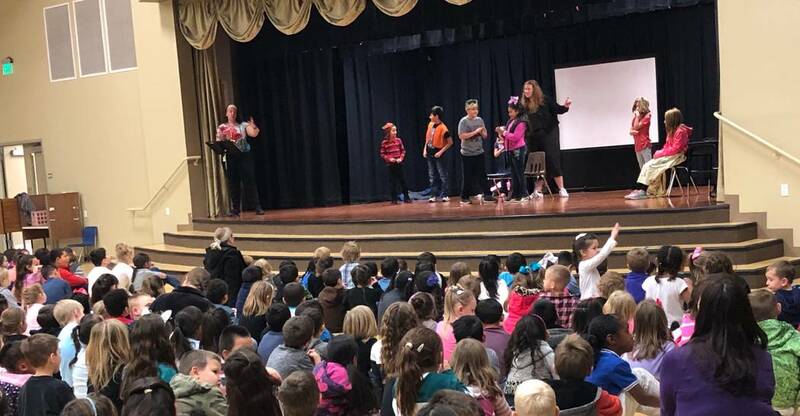 Teresa Skye/Special to the Pahrump Valley Times Dozens of school-aged kids ready for the upcoming Missoula Children's Theatre (MCT) production. This year's show is "Snow White & the Seven Dwarfs." Teresa Skye/Special to the Pahrump Valley Times School-aged children rehearse for the upcoming production of "Snow White & the Seven Dwarfs." The annual production is put on by the Missoula Children's Theatre (MCT), which brings its touring children's theatre to all 50 states, five Canadian provinces and 16 countries. Teresa Skye/Special to the Pahrump Valley Times Children gear up to perform "Snow White & the Seven Dwarfs." The two performances are set for 2 p.m. and 5 p.m. on Saturday. The Missoula Children’s Theatre, a traveling theater company that does work in all 50 states, five Canadian provinces and more than a dozen countries, is returning to Pahrump to produce an adaptation of the classic fairy tale, “Snow White,” starring local school-aged children. The two planned performances will be at 2 p.m. and 5 p.m. on Saturday at the Pahrump Valley High School auditorium at 501 E. Calvada Blvd. The public is invited to come see the performance, with tickets available at the door. The cost for students is $3 and adults are $5. A family pass is also available at a cost of $20, which is good for both shows. Roughly up to five dozen school-aged children are chosen through an audition process that occurred on Jan. 21. Following that, the kids that are chosen are trained by professional directors the rest of the week to be ready for the Saturday performance. Kids are scheduled to go through 20 hours of rehearsal before the performance. The directors also bring along professionally-designed costumes and scenery, according to information on Missoula Theatre’s website. 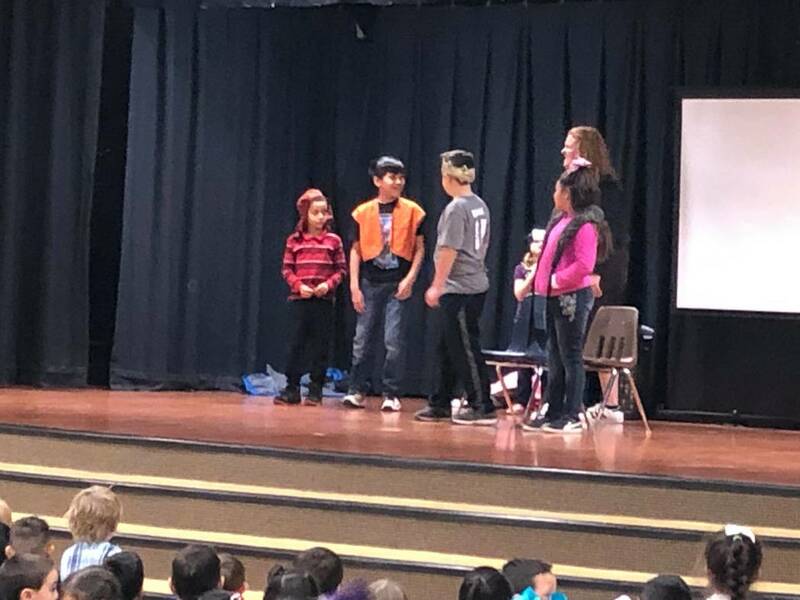 The children’s theater has been coming to the Pahrump area for the last several years and is sponsored by the Pahrump Arts Council’s Youth Arts Program. 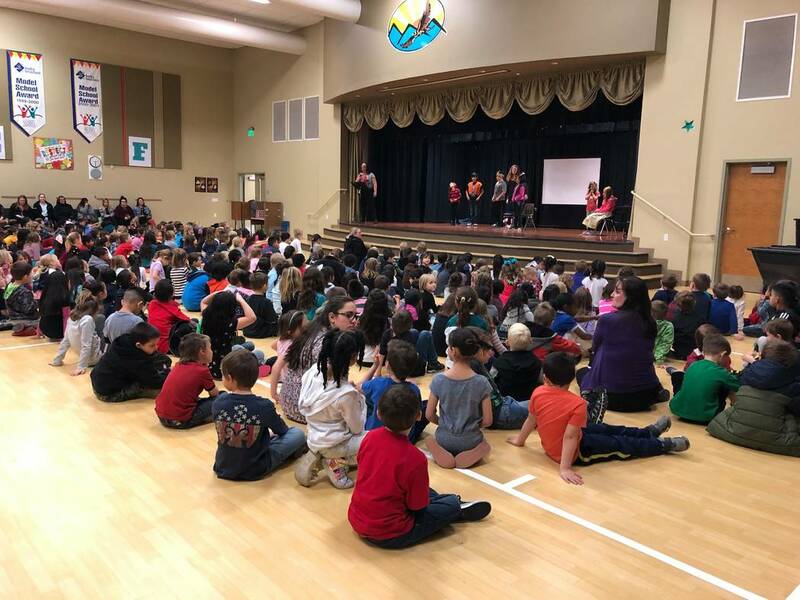 The annual children’s theater production costs roughly $4,500 to bring to the Pahrump area, according to leadership at the arts council. The cost is funded through private donations and other sources. One of the biggest contributors this year was Linda Kass, of Young Vision Production. Kass is also known for founding the High Desert International Film Festival, which came to Pahrump for over a decade. Another major backer of this year’s Missoula Children’s Theatre was the Pahrump Community Choir. Preferred RV Resort also donates lodging for the two directors. For more information on the performance, contact the Pahrump Arts Council at 775-505-1362 or at info@pvpac.org.